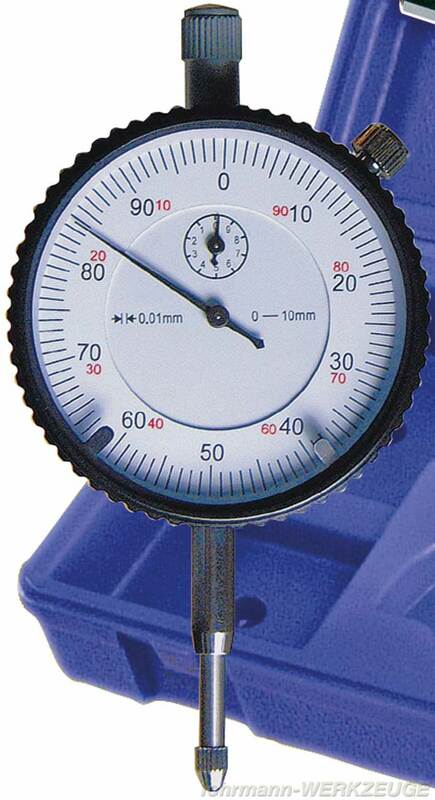 Dial indicator, measuring capacity 10 mm, 0.01 mm divisions. Outside diam. of bezel 58 mm, shank Ø 8 H6, metal casing, with tolerance marks. 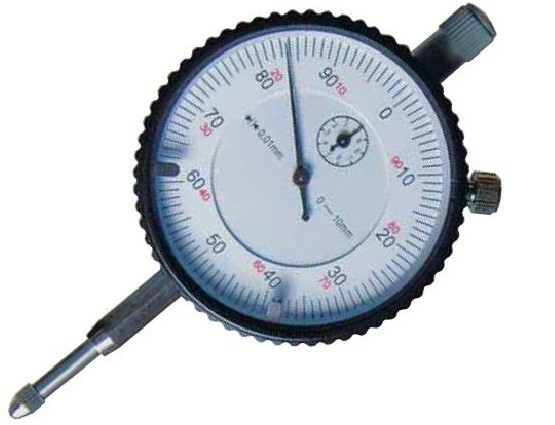 Dial face rotatable by outer ring. Related links to "Dial indicator"
Customer evaluation for "Dial indicator"